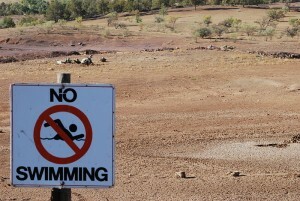 #1 Right now, 1.6 billion people live in areas of the world that are facing “absolute water scarcity“. #3 One recent study found that a third of all global corn crops are facing “water stress“. #5 By 2025, two-thirds of the population of Earth will “be living under water stressed conditions“. #9 The Great Lakes hold about 21 percent of the total supply of fresh water in the entire world, but Barack Obama is allowing water from those lakes “to be drained, bottled and shipped to China” at a frightening pace. #10 It is being projected that India will essentially “run out of water” by the year 2050. #19 Most Americans don’t realize this, but the once mighty Colorado River has become so depleted that it no longer runs all the way to the ocean. #20 According to the U.S. Geological Survey, “a volume equivalent to two-thirds of the water in Lake Erie” has been permanently drained from the Ogallala Aquifer since 1940, and it is currently being drained at a rate of approximately 800 gallons per minute.